Austin's Circuit of the Americas endured an at times difficult birth to emerge as one of the most impressive new circuits to grace the racing calendar in recent years. Created with the express intention of reviving the USA's hopes of hosting an F1 Grand Prix, the initial plans were first proposed in July 2010. Promoter Tavo Hellmund – a former racing driver who had competed in Formula 3 in the 1990s – had secured a deal with Bernie Ecclestone for a US GP from 2012 onwards. A parcel of 890 acres of undeveloped land in Travis County would be used for the circuit, with Texas billionaire Red McCombs and Bobby Epstein among the major investors. The initial track layout was conceived by Hellmund, Texan motorcycle world champion Kevin Schwantz and renowned F1 circuit designer Hermann Tilke. Inspiration was taken from other circuits around the world, with the first section in particular taking its cues from Silverstone's Maggots-Becketts-Chapel complex. 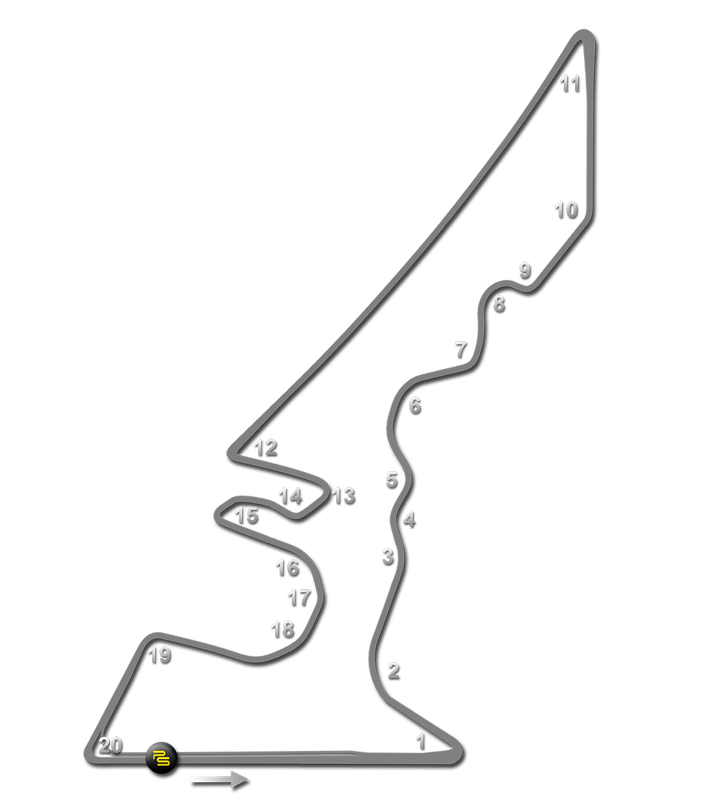 Other sections mimicked the stadium section at Hockenheim and Istanbul Park's Turn Eight and there was considerable elevation change, with a steep rise to Turn One among the most notable features. Construction began on December 31, 2010 and was due to be completed by June 2012. The final circuit masterplan had been developed by HKS,Inc. and Tilke, with the main grandstand and feature observation tower and amphitheatre being designed by Austin architectural firm, Miró Rivera. Just as the circuit began to take shape on the ground, events within the management company began to unravel. Hitches with securing funding from a state sporting fund and other disagreements behind the scenes saw a number of initial payments to Formula One Management missed. By November 2011, Ecclestone had had enough, and issued an ultimatum to the owners and promoters to find a solution by the following month or be dropped from the calendar. Amid the acrimony, work on site was stopped but, when the World Motorsport Council issued the F1 calendar in December, Circuit of the Americas was still provisionally included. It later transpired the McCombs and Epstein had struck a new deal directly with Ecclestone, ensuring payment up front and cutting Hellmund's company from the promotion of the event. Hellmund announced plans to sue Epstein, though the pair eventually settled out of court. Against this background, construction was completed at an estimated cost of $300 million, although the discovery of high-pressure gas lines on site and unstable clay soils had necessitated expensive additional work. Nevertheless, the first layer of asphalt was completed on August 3, 2012 and laying of the final layer commenced on August 14 and was finished on September 21. The track was officially opened on October 21, with Mario Andretti running the ceremonial first laps in a Lotus 79. The new circuit passed its FIA inspection with flying colours in September, ahead of the inaugural F1 race in November. When the F1 circus arrived, the drivers and teams were immediately impressed. The paddock facilities were well thought out and lacked for nothing and spectators found the same was true of the public amenities. A central 'Grand Plaza' covering 20 acres contains a wide range of concessions, retail and restroom facilities and entrances to spectator seating, as well as a large reflecting pool, lawn, and varying landscape zones. Dominating the skyline is the observation tower, which was conceived as a visual finale to the central Grand Plaza as well as a dramatic and memorable backdrop for the Austin360 Amphitheater concert venue at its base. Inspired by the image of red streaks of glowing light that tail lights leave behind in the dark, a roof of red steel tubes fans out over the amphitheater stage then converges at the base of the tower to form a "veil" that sweeps up and over the central elevator core. To reach the top of the tower, visitors can either ride a high-speed elevator or climb the 428 steps to their destination. Seemingly suspended from the red pipe steel canopy is a viewing deck that offers a sweeping panorama of the entire track, downtown Austin, and the nearby Hill Country from an elevation of 230 feet. A portion of the floor is structural laminated glass, allowing more daring visitors to look straight down to the ground below their feet. The circuit layout itself was much praised by the drivers, who found the first sector in particular a rewarding challenge. And the first race delivered a memorable result, with the McLaren of Lewis Hamilton hounding Red Bull's Sebastian Vettel into a mistake while lapping traffic to secure a deserved victory. Besides F1, the venue has quickly attracted other race series including the United SportsCar Championship, World Endurance Championship and V8 Supercars. MotoGP also held the Grand Prix of the Americas, though this too was not without its own controversies; in a move reminiscent of the F1 dispute, original race promoter Kevin Schwantz found himself sidelined when the circuit struck its own deal to run the race directly with MotoGP organisers from 2013 onwards.